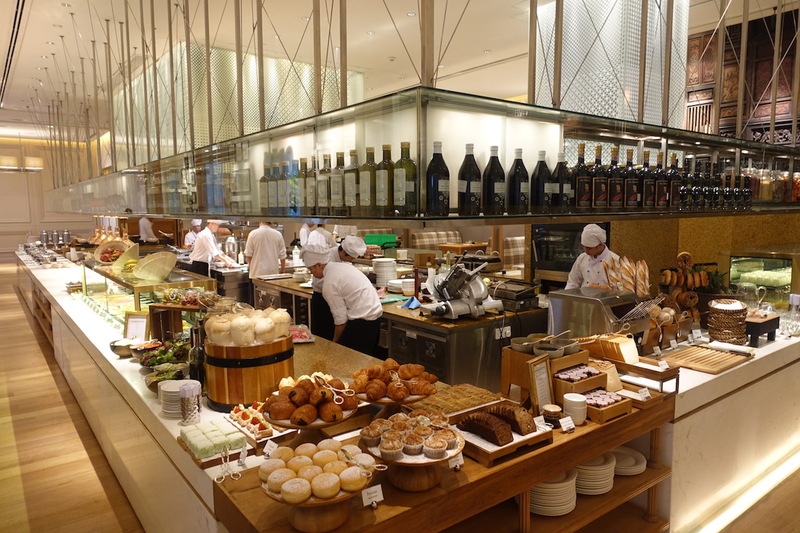 The World of Hyatt Credit Card is one of my all around favorite hotel credit cards. 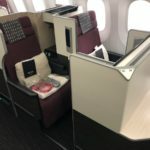 While there are lots of great perks for the card, in this post I wanted to focus specifically on the annual free night certificate that it offers, which alone can more than justify the card’s annual fee. On your credit card account anniversary each year you’ll be issued a free night certificate, which is valid for a stay at any Category 1-4 Hyatt hotel globally. The certificate should be issued shortly after your account anniversary, and is valid for a stay within a year of when it’s issued. There are no blackout dates for this certificate. Rather, as long as a standard room is available for your dates, you should be able to use the certificate. The redemption process is very similar to redeeming points. As a point of comparison, Hyatt ordinarily charges 15,000 points for a Category 4 free night, so that’s potentially how much this certificate will be worth (I wouldn’t quite value it at face value, since there’s an expiration date and you don’t have that much flexibility in terms of how to redeem it). The card has a $95 annual fee, and personally I think the certificate alone more than justifies the annual fee on the card. How do you redeem your Hyatt anniversary free night? Once your account anniversary has passed, log into your World of Hyatt account and click on the “My Awards” section. When you scroll down you should see the “Free Night Award” section, where you can click on the “Terms & Conditions” section and see all the details of each certificate. Once you’ve verified that you have free night certificates there, just search availability for the city or hotel you want, as if you’re trying to make a points booking. So on the search page select the “Use Points” button. You’ll see the hotel results on the next page. 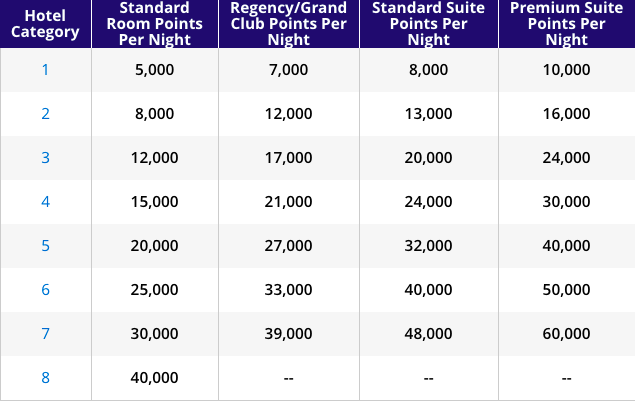 You’ll want to select a hotel that shows the points cost as being no more than 15,000 points per night, because that’s the equivalent of a Category 4 hotel. For example, as you can see this leaves a lot of options in Miami. Then when you select the hotel you want, you’ll see the option of either redeeming points or booking with the free night award, and you’ll want to select the “Free Night” option. It’s pretty amazing that you can redeem at all of these hotels that go for $300+ per night (including taxes and resort fees) just by using this certificate on the $95 annual fee World of Hyatt Credit Card. There is one quirk to be aware of when booking online. Hyatt will automatically pull whatever free night certificate expires next when you book online. If you only have Category 1-4 free night awards that’s not a big deal. However, if you’re a Globalist you may also have a Category 1-7 free night award, and you don’t accidentally want to redeem that for a Category 1-4 stay. So if that certificate expires first, you’ll want to book by phone so you can be sure they pull the right one. Do you get elite benefits on free night certificate stays? Much like an award night, stays booked with a free night certificate are eligible for all elite benefits. So if you’re a Globalist member you’d receive a suite upgrade subject to availability, complimentary breakfast, lounge access, etc. Furthermore, these stays are even eligible for elite qualifying nights, so would count towards your status qualification. Can you use the Hyatt free night certificate for someone else? Generally speaking, the free night certificate offered with The World of Hyatt Credit Card has to be booked in the name of the primary cardmember and World of Hyatt member. The one exception is if you’re a Globalist member, in which case you can use these certificates to make a Guest of Honor booking for someone else. This allows you to book a stay in someone else’s name, and they’ll even get your Globalist benefits. What other hotel cards offer free night awards? See this post for the details of all the cards that can earn you free night certificates. The World of Hyatt Credit Card is a fantastic card that comes with an anniversary free night certificate valid at all Category 1-4 hotels. To me, that more than justifies the card’s $95 annual fee, since a vast majority of Hyatts retail for significantly more than that. The best part is that you can earn more free night awards than that. If you spend $15,000 on the card in a cardmember year you can earn a second award, and then if you earn Explorist status you can earn a third award. What has your experience been with Hyatt Category 1-4 free night awards? Lucky- have you had experience using free night certificates to extend an existing reservation. For example- I book for my family 4 nights at a Hyatt resort- can I use a free night for the 5th night and connect the reservations? Or even using multiple free nights consecutively at the same hotel? Thanks! One thing worth noting is that it appears you cannot use a Club access award with a promotional free night. Jeffrey King, I can confirm this. I’m Explorist and was going to use my free night in Amsterdam at the Hyatt and tried attaching a Club access award to it via Twitter DM and was told that I could not use on a Chase free night award. Used mine at the Grand Hyatt DFW. Tarmac views are amazing. Lucky might have nightmares though watching all of the AA planes. Note that if you wait to use the free night till the last minute, the night is registered on the day of the check-out, not check-in, so if you check in on the 31 of December, it won’t count for the current year – thus the last night to use the free night is December 30. 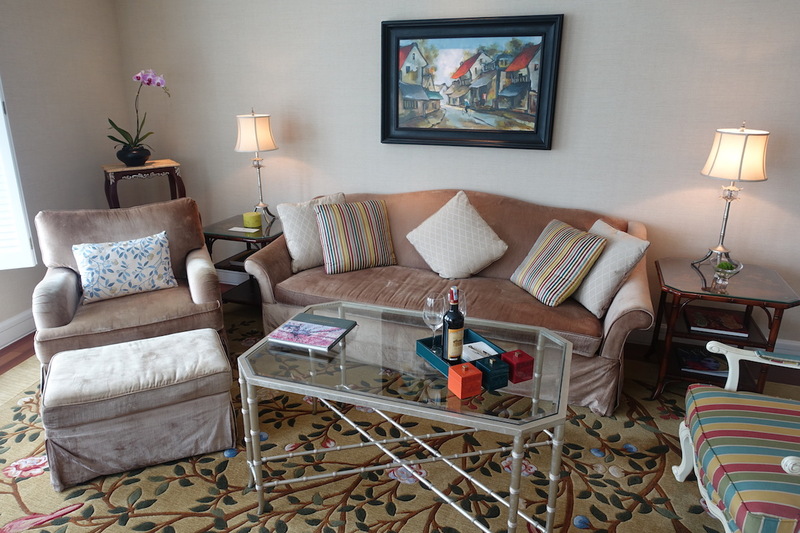 I booked a club access room using points and a free night award room at Hyatt Regency Tysons Corner (2 separate bookings) and was able to have the 2 reservations linked at check in and enjoyed club access rooms for both nights. Low Season though. Can you warn a free night for spending $15,000 in the card the first year, or only during anniversary years? The terms and conditions say the latter, but your post says card member year. I’m not sure exactly when this came into effect but you can share your free night certificates with any World of Hyatt member. You don’t need to be Globalist to do that. I called last year and booked a room for my daughter, just gave them her WOH number. Can’t use club access awards or TSUs by rule. If you want to keep the “everything …” title, you might want to add that. @Lucky, you should mention that the Hilton Amex Aspire Card gives the Weekend Night Certificate upon signup (after a 2-month delay), while the Marriott cards offer their free nights after anniversary renewal(s). I was unable to use one of my Globalist suite upgrades with the free night award. Lucky, would you recommend a current holder under the old terms upgrade to the newest version for 2500 bonus points and the $20 increased annual fee. I barely put any spend on the card and I don’t stay at Hyatt’s enough to ever achieve status about the discoverist status that comes with the card. Wondering if Park Hyatt Toronto will still be Cat 4 after the renovation… Could be one of the better North American redemption choices out there during peak season. Aren’t SLH hotels all above category 4 and thus not covered by the free night? Any restrictions that dont exist for points bookings? Im looking at Eliza Jane in New Orleans and the dates I want dont accept points (despite having “one king bed” rooms as available for revenue bookings. On different dates the same “one king bed” room is bookable with points. I hate these games. Didn’t the old Hyatt card come with a free night certificate as well? I’ve been waiting for one to post and it hasn’t. Same problem with me. Should it be automatic? Does the free night have to be consumed by its expiration date, or just booked by that date?